10 Most Popular, beautiful and Important Waterfalls in India – Best of India! India is a prosperous nation in terms of outstanding natural beauty like mountains, beaches, rivers, lakes and forests. 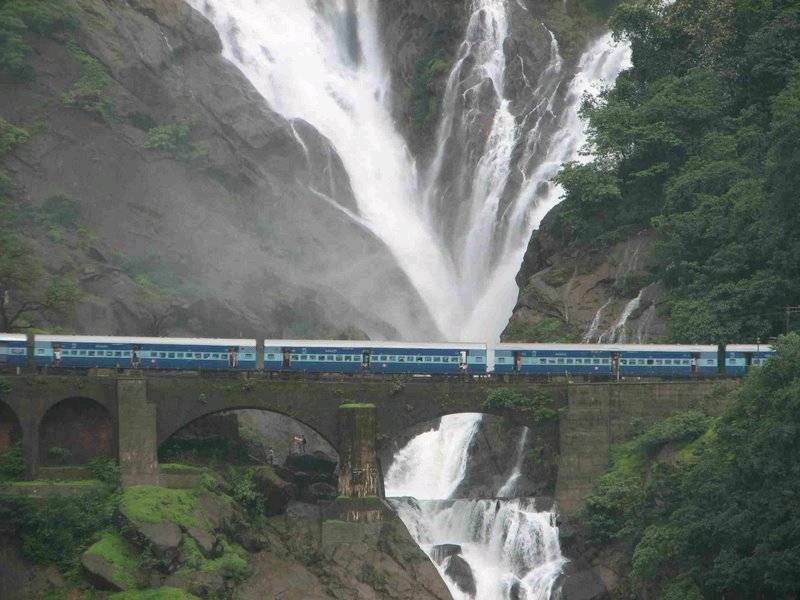 Together with all these, waterfalls is another ecological place for which India is famous. India has some of the awesome and most dazzling waterfalls in the world. Each state in India has its own unique waterfall narration. And these natural places are crowded with local people and tourist. If you love nature then this listing is all you require to find out about best natural waterfalls in India. 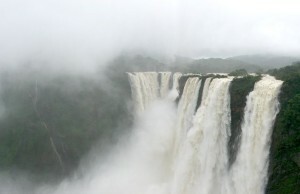 It is said that the best time to see waterfalls is during monsoons. In India, during Monsoon you will notice likely calm climate and best natural scenery. Rivers across the country flows in full swing, mountains turn into lush green valley with plants, forests shimmering waterfalls, stunning flowers and in-between beautiful lakes. 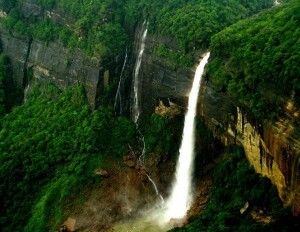 North East India host Major waterfalls. The Khasi, Garo and Jaintia Hills has unique landscape with dense forest, mountain covered with heavy cloud and torrential rainfall horde the highest waterfalls in India. These waterfalls are some of the most extravagant in the world. For example, the milky Dudhsagar and Jog waterfalls are most renowned and beautiful waterfalls of India. The mountain waterfalls are also an integral part of the famous hill stations like one in Kullu by the name of Palani falls. The waterfalls pointed out below have been recognized and opted after a watchful study and inspection. Here is a list of 10 of the most beautiful falls in the country. 1.) Jog Falls – is the most popular and second-highest plunge waterfall in India, Located near Sagara, Karnataka, these segmented falls are a major tourist attraction. They are also called Gersoppa Falls and Jogada Gundi Jog Falls is created by the Sharavathi River falling from a height of 253 m, making it the second-highest plunge waterfall in India after the Nohkalikai Falls with a height of 335 m in Meghalaya. 2.) 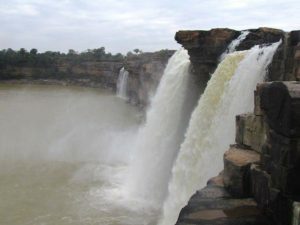 Hogenakal Falls – is a waterfall in South India on the river Kaveri. It is located in the Dharmapuri district of the southern Indian state of Tamil Nadu. It is sometimes referred to as the “Niagara of India”. With its fame for medicinal baths and hide boat rides, it is a major site of tourist attraction in the region. The best season to visit is soon after the monsoons, when the river is in full spate. But some tourists prefer to visit during off-season to skip the crowd. 3.) 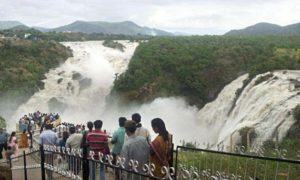 Shivanasamudra Falls – is a beautiful waterfall on the Kaveri River after the river has wound its way through the rocks and ravines of the Deccan Plateau and drops off to form waterfalls. This is a segmented waterfall. Segmented waterfalls occur where the water flow is broken into two or more channels before dropping over a cliff, resulting in multiple side by side waterfalls. It has an average width of 305 meters and a height of 98 m. 4.) Athirappilly Falls – is situated in Athirappilly panchayath in Thrissur district of Kerala, on the southwest coast of India. Located on the west-flowing Chalakudy River near the Vazhachal Forest Division and the Sholayar ranges, this 24-metre waterfall and the nearby Vazhachal Falls are popular tourist destinations. 5.) Nohkalikai Falls – is the tallest plunge waterfall in India. Its height is 1100 feet. The waterfall is located near Cherrapunji, one of the wettest places on Earth. 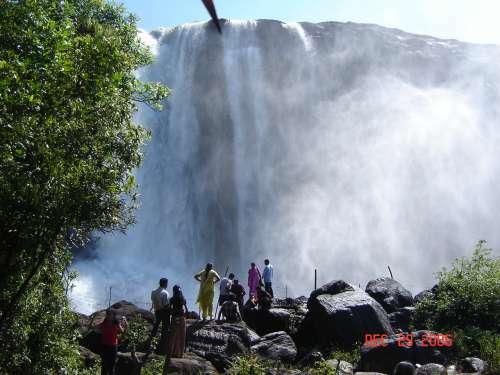 Nohkalikai Falls are fed by the rainwater collected on the summit of comparatively small plateau and decrease in power during the dry season in December – February. 6.) The Chitrakoot Falls – is a waterfall located near Jagdalpur, in Bastar district in the Indian state of Chhattisgarh on the Indravati River. The height of the falls is about 29 metres. The breadth of the waterfall varies, as the water level in the river goes down drastically during summer. 7.) 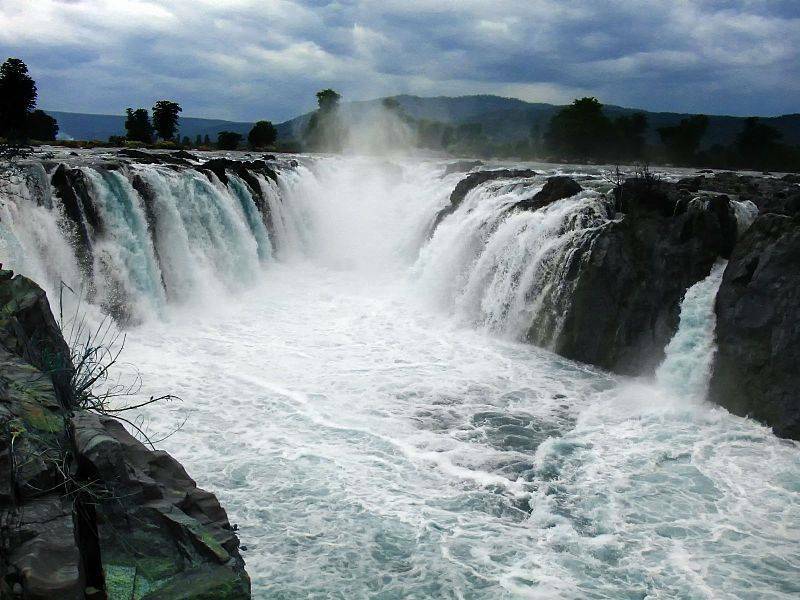 Dudhsagar – is one of the India’s most exquisite falls and during the monsoon season the falls are transformed into one of the most powerful falls in India. The waterfall is located on the Mandovi River in the Indian state of Goa on border with Karnataka state. 8.) Abbey Falls – is in Kodagu, in the Western Ghats in Karnataka. The falls appear suddenly, the water cascading over rocks into calm pools. A hanging bridge constructed just opposite the falls comes in handy for the Tourists. During the monsoon season the water flow is very high. 9.) 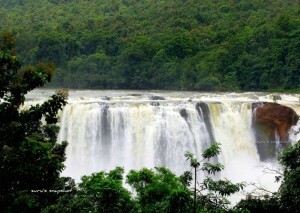 Vazhachal Falls – is situated in Athirappilly Panchayath of Thrissur district in Kerala on the southwest coast of India. Located on the west-flowing Chalakudy River near the Vazhachal Forest Division and at the edge of the Sholayar ranges, it is just 5 km from entrance of Athirappilly Falls. 10.) 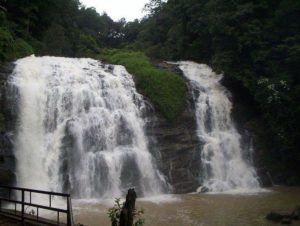 The Irupu Falls – is located in the Brahmagiri Range in the Kodagu district of Karnataka, bordering the Wayanad district of Kerala. It is a fresh water cascade and is situated at a distance of 48 km from Virajpet on the highway to Nagarhole. Irupu falls is a major tourist attraction as well as a pilgrimage spot. A famous Shiva temple, the Rameshwara Temple is situated on the banks of the Lakshmana Tirtha River, en route to the Falls. Beautiful waterfalls… I am so impressed to see your collection. They are truly the most amazing waterfalls in India. I’M feeling vrY proud to watching thIs most woderful water fall! 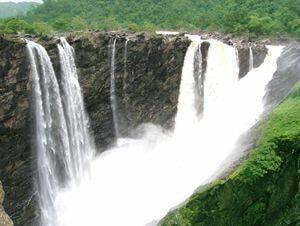 very nice and beautyful water falls in India.